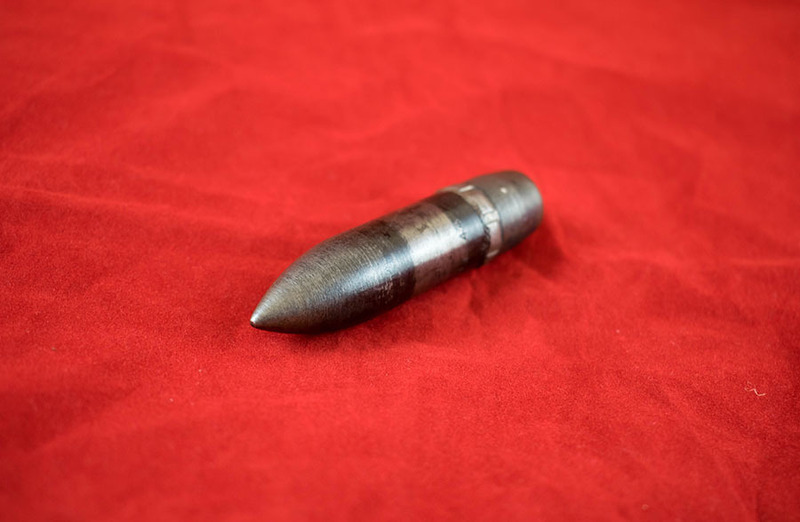 Home > Museum and Artwork > Cannon Shell extracted from patient's face during the Second World War. Cannon Shell extracted from patient's face during the Second World War. Pictured here is a cannon shell, which was extracted from a patient's face during the Second World War. It was removed by Professor Thomas Gibson, former President of the Royal College of Physicians and Surgeons of Glasgow and Captain of a Royal Army Medical Corp maxillofacial surgery team during WW2. 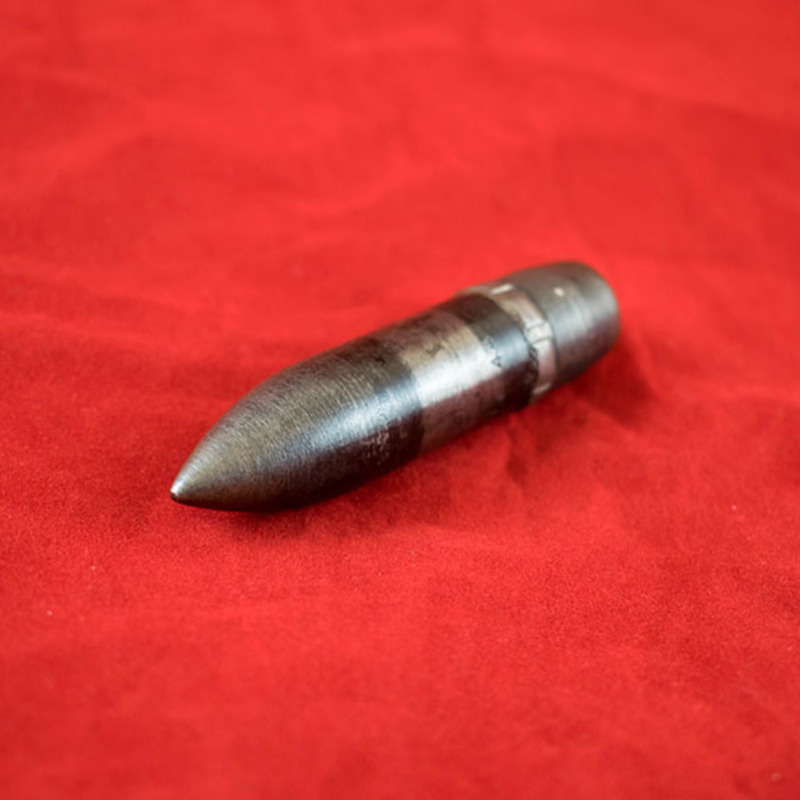 This cannon shell is 8.5 cm in length, 2cm in diameter and weighs 147.3g. 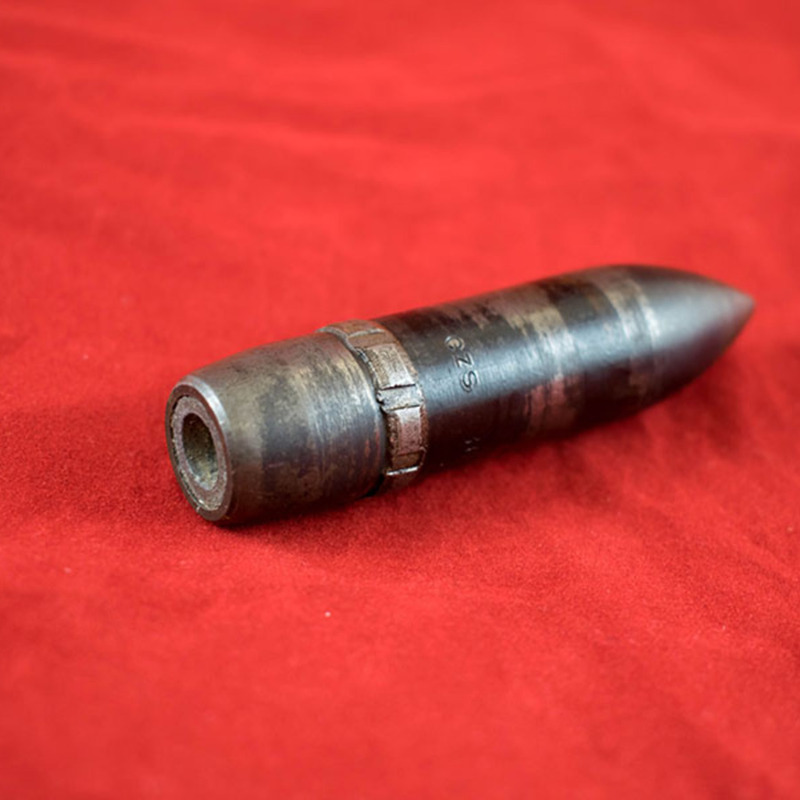 “Cannon Shell extracted from patient's face during the Second World War. ,” Heritage, accessed April 22, 2019, https://heritage.rcpsg.ac.uk/items/show/45. 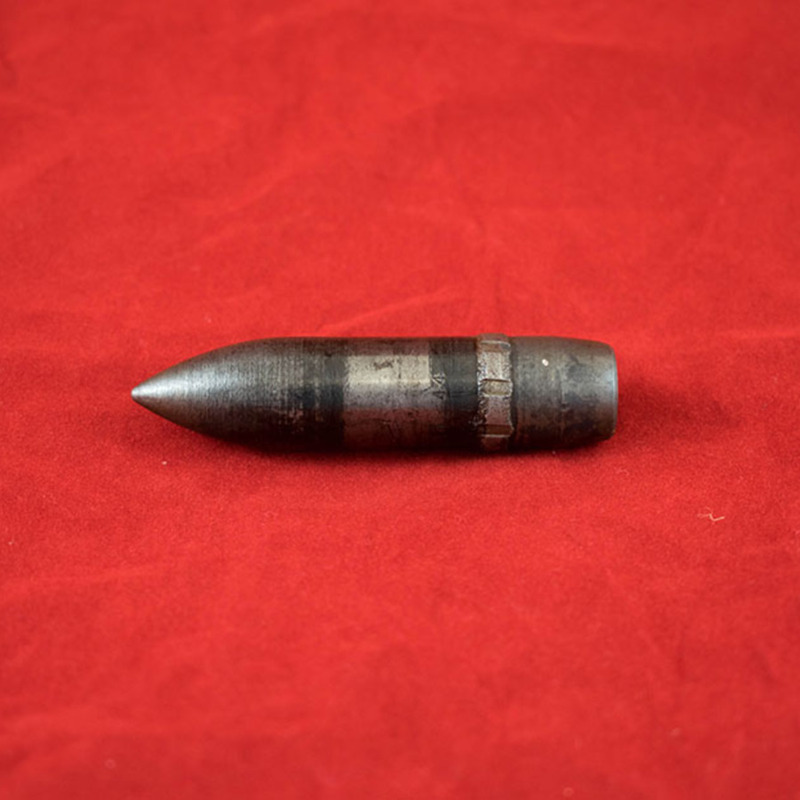 Title: Cannon Shell extracted from patient's face during the Second World War. 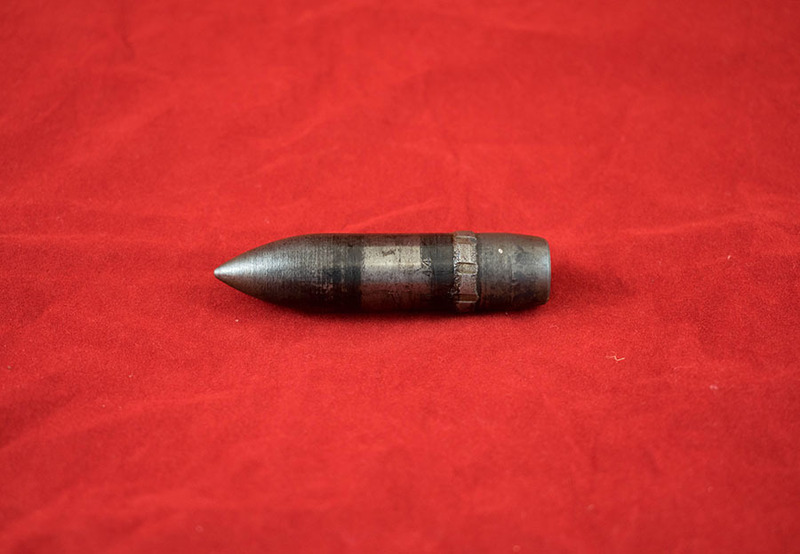 Description: Pictured here is a cannon shell, which was extracted from a patient's face during the Second World War. It was removed by Professor Thomas Gibson, former President of the Royal College of Physicians and Surgeons of Glasgow and Captain of a Royal Army Medical Corp maxillofacial surgery team during WW2. 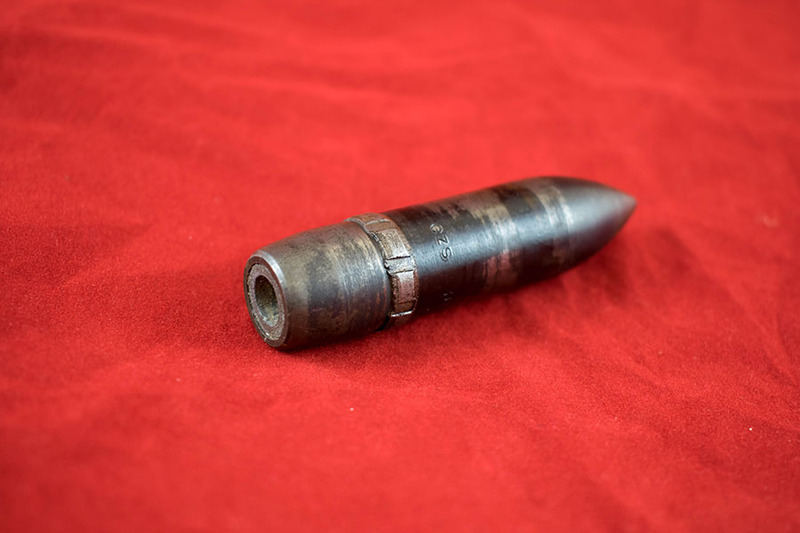 This cannon shell is 8.5 cm in length, 2cm in diameter and weighs 147.3g.